What is it about Pumpkins? Is it because it’s SEASONAL that we like them so much? At our house, we are into them. I love to look at them, decorate with them, carve them, bake with them, cook with them, even drink them! And pumpkin stuff only comes once a year…it’s an Autumn tradition! I think we connect pumpkins with the turning of colorful leaves, the cooling weather, pulling out sweaters, and anticipating the holidays. 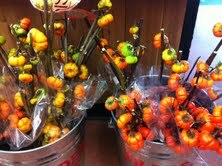 The other day, I walked into Trader Joe’s and saw these Mini Pumpkin Branches. How terrific are they?! I wish I had an event to justify purchasing them for an arrangement! They are real (though they look almost fictional). In addition to these beauties, there was a food rack with all manner of pumpkin items including: pumpkin butter, pumpkin spice bread mix, pumpkin spiced tea, and even pumpkin spice granola. 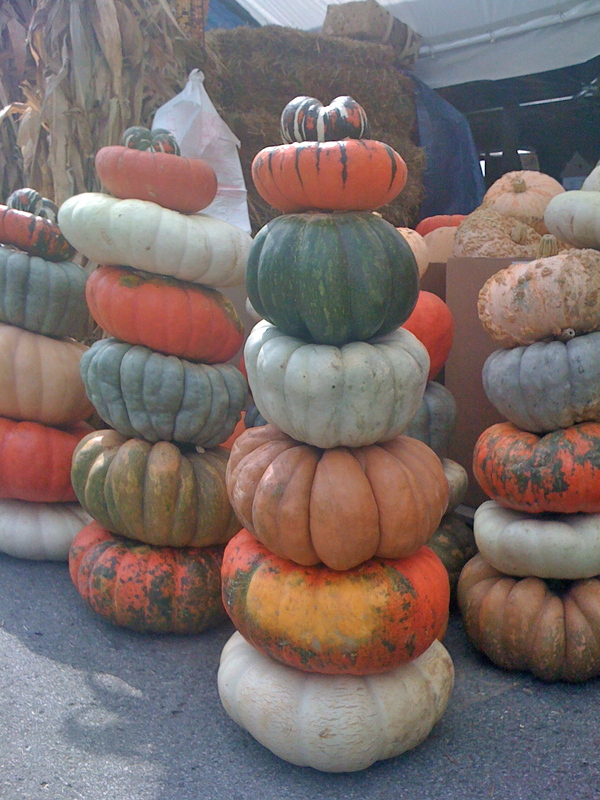 The farmer’s market is brimming with pumpkins, gourds, squashes and mums…of all shapes and sizes. 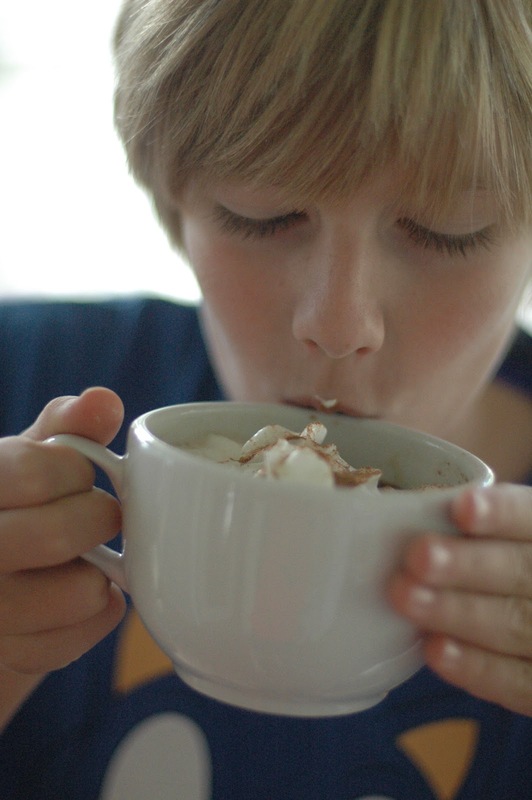 And then, there are Pumpkin Spice Lattes. I imagine they top the list of Pumpkin Favorites for most people. On September 4th, Starbucks sent out the word (via signs, tweets, etc.) that Pumpkin Spice Lattes were back. I think for some people, this announcement meant that the season of autumn officially began. People flooded the stores evidently, because the news reported last month that the onslaught of customers caused a shortage of Pumpkin Spice Syrup at many Starbucks stores. Customers were despairing! 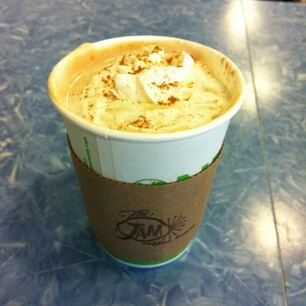 My friend Melissa sent an Instagram of the Pumpkin Pie Latte that she had at the Jam (a local coffee/tea shop near Belmont) a couple of weeks ago and I couldn’t get it out of my mind. I made my way there a few days later and the sign on the counter said, “Pumpkin Pie Lattes are back: Made with Real Pumpkin…Epic”. I have to agree. Theirs are EPIC. 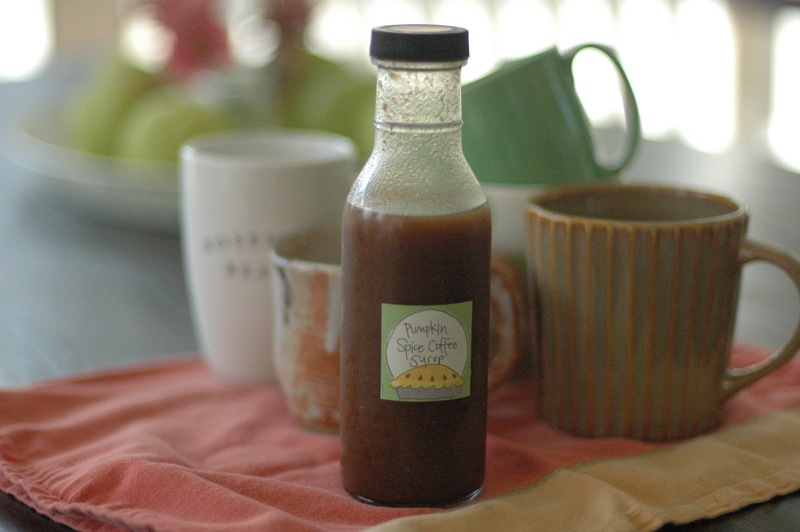 Last fall, my friend, Sharon, made pumpkin syrup for some home-made lattes at a gathering and it was delicious! I was inspired to try to make some myself, so I started digging around on Pinterest to find a recipe for homemade Pumpkin Coffee Syrup. I found a lovely one on Annie’s Eats (always a lovely BLOG to peruse). I made a batch, tried it out, approved it, and then filled a glass bottle with it to give as an October birthday gift. Combine the water and sugar in a medium saucepan and heat over medium-high heat, stirring occasionally, until the sugar has completely dissolved. Toss in the cinnamon sticks and whisk in the remaining spices and the pumpkin puree. Continue to cook for about 5 minutes, stirring frequently, without letting the mixture come to a boil. Remove from the heat and allow it to cool for 10-15 minutes. (Annie says to strain syrup through fine mesh, but I didn’t have to do so). Pour in your container of choice. Store in the refrigerator. To make a pumpkin spice latte: combine 2 ounces of hot coffee or 1 shot of hot espresso (about 1-1½ ounces) with 5-6 ounces of steamed low-fat milk. Stir in 1½-2 tablespoons of the pumpkin spice syrup. Taste and adjust amounts accordingly. 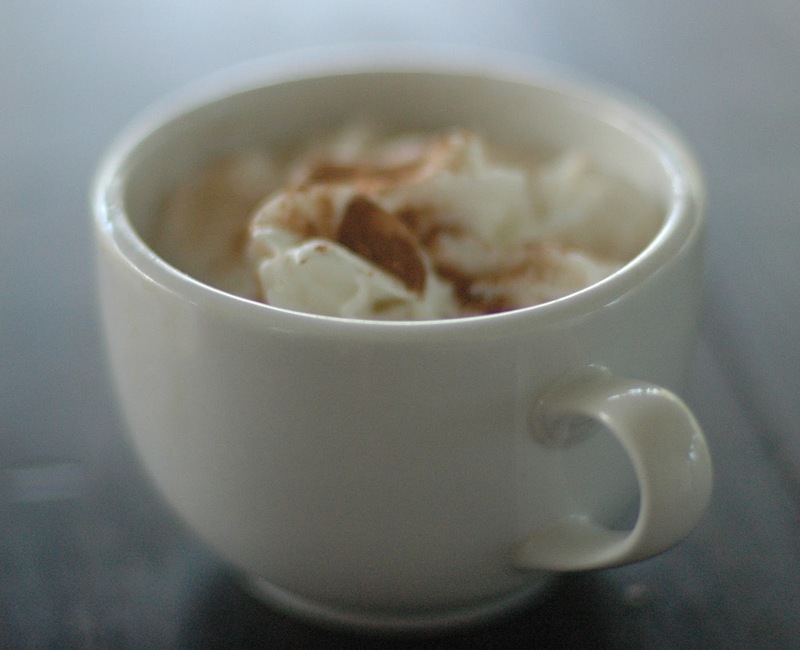 Top as desired with freshly whipped cream, ground cinnamon or pumpkin pie spice. (You can even drizzle with caramel sauce)! Chimichurri – I Could Almost Drink It! We've had a Fall shopping weekend and decorating fest over here. Pumpkins galore! We are trying to recreate this Fall centerpiece that I found on Pinterst and we've collected all of the supplies except the wooden box it all goes in. So fun! Thanks for coming by and for letting me know!